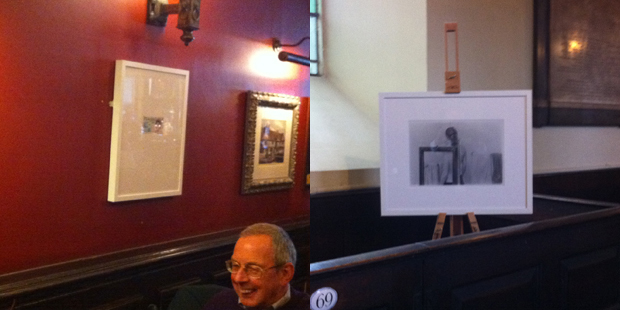 Before the start of last Saturdays City Walking tour I was lucky enough to bump into the organisers of FRAME_, a 3 month exhibition of small edition artworks by both local and international artists. The brainchild of Berlin artist Elly Clarke, FRAME_ displays the work of 42 artists’ in 30 of Birminghams’ every day places we might go Pubs, Coffee Shops, Arcades, Hotels, Churches and a Hair and Nail Salon amongst others. The Old Joint Stock is the finish location of our Birmingham Sinister City Ghost Walk, whilst St Paul’s features in both our Jewellery Quarter and Birmingham Graveyard Ghost Walks. 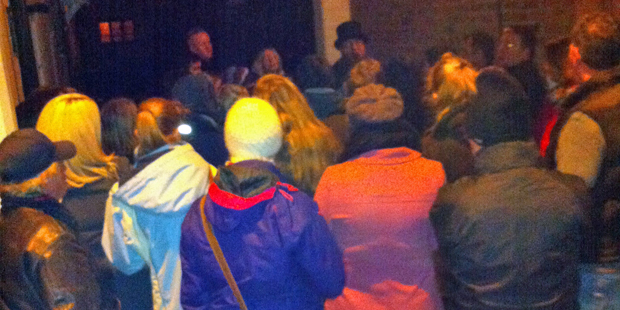 Our third Warwick Ghost Walk saw the biggest crowd yet on a slightly damp November evening. 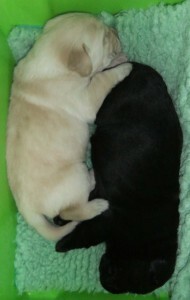 Thanks to the Rose & Crown for your support, and a special thanks to Angela, again the person that sold the most tickets. Great to meet Suzie, the new manager at the Rose and Crown, we look forward to working with you on a combined Meal & Ghost Walk offer. Also great to meet one half of the Warwick Slaughterhouse Brewery, hope we can find a way of working with The Wild Boar on one of your themed evenings. 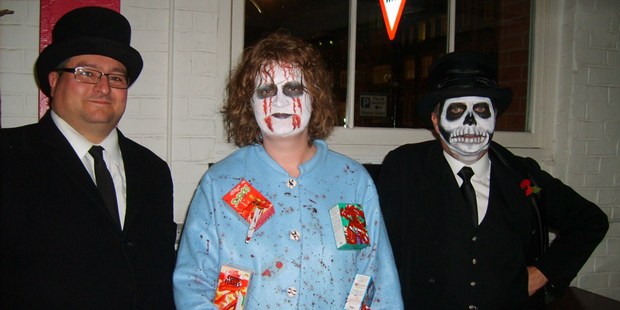 In the four years since we started running Ghost Walks in Birmingham, this has been our busiest Halloween so far. 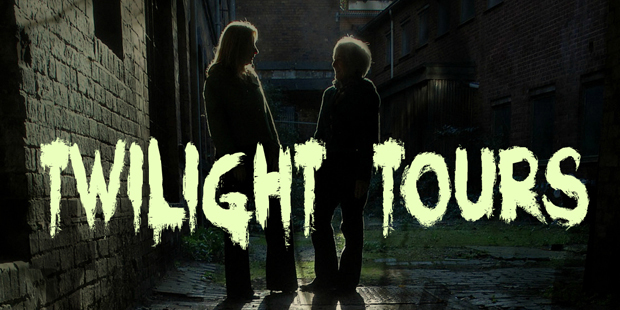 As well as selling out on our Sinister City and Graveyard Ghost Walks, we have had record bookings for both our Sutton Coldfield and Warwick Ghost Walks. Private bookings have included groups of Trainee Solicitors, 2 different High Street banks, a Dance School and a 50th Birthday. We have also worked in conjunction with The Old Joint Stock and the Masonic Hall at Sixty Severn Street to create combined Meal and Ghost Walk events, both had great feedback for both the food and the Walk, and we got to hear of some new haunted sites that we will be investigating further. We were delighted to be able to take nearly 100 people into Newman Brothers Coffin Fittings Works at the end of the evening of their Twilight Tours, no Ghosts but another dimension to the Funeral industry in Birmingham over the last 100 years. Taking their lead we will soon produce our top ten books on Hauntings, Murder and Hangings in Birmingham, which if you order via Amazon using this link, Amazon will send 5% to the Birmingham Conservation Trust, the charity that have plans to bring Newman Brothers Factory back to life. Guests on our Halloween Walk braved the driving rain, and were rewarded at the end with a “Widowmaker” cocktail and a bowl of Pumpkin soup at The Red Lion on Warstone Lane. About a third of the group wore fancy dress, but the prize went to Chantal. She had personally stabbed a muti-pack of Variety Cereal using plastic knives, and carried her next victim with her on the walk, a worried looking box of Weetabix, with the words “Help me I’m the next victim” scrawled in jam across the front of the box. It took a few of the guests time to make the connection, “Oh a serial killer”. Chantal, a great costume and a very worthy winner. 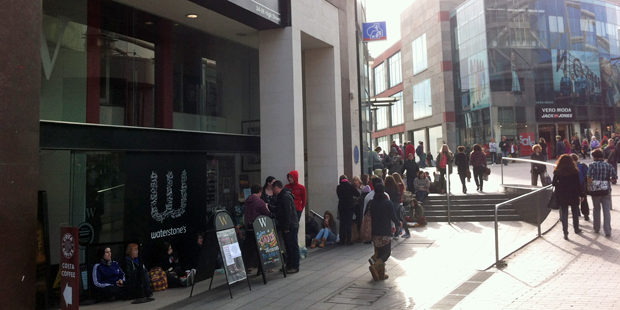 There were long queues on High Street on Saturday 20th October, as Waterstones bookshop played host to popular TV comedian Miranda Hart, who was in town to promote and sign copies of her new book “Is It Just Me?” already riding high in the UK’s bestseller lists. The photo shows fans in line five hours before the event began, arriving early to make sure of their chance to meet the unassuming star. The Waterstones store on High Street has a long association with books, as a house on the same site was home to William Hutton, a printer who wrote the first ever history of Birmingham, and his daughter Catherine, a respected novelist herself during the mid-19th Century. Why not join one of our “Books and Writers” tours to discover more about the city’s contribution to writing past and present? Our good friends at Newman Brothers Coffin Fitting Works are opening the doors to their Victorian factory for one week only. We are delighted to promote and support this most worthy of causes. For the first time, Birmingham Conservation Trust is offering special twilight tours of the Grade II* listed Newman Brothers Coffin Fitting Works in the Jewellery Quarter between 26 October and 3 November to raise money for its restoration project which starts early 2013. Visitors will experience a candlelit tour of the semi-derelict 1894 Victorian factory which made coffin fittings and find out about the manufacturing processes used to produce the decorations for the coffins of Princess Diana and Winston Churchill. Our guides will tell stories about the workers and this family-run business; life in a Victorian factory and an unfortunate incident of cyanide poisoning. 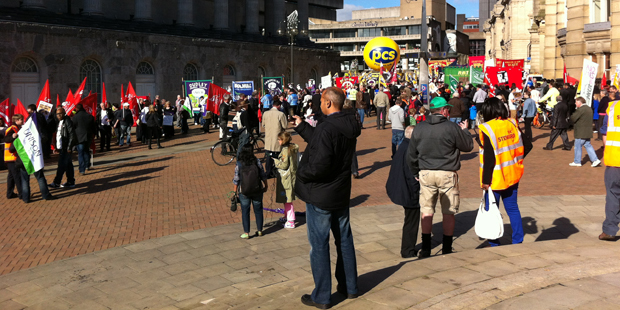 On Sunday 7th October I turned up at the normal starting point for one of our special walking tours of the canals of Birmingham, only to find 5,000 people waiting in Victoria Square to start a walk, unfortunately not the Canal Tour but trade union members and protesters calling for an end to austerity cuts on the first day of the Tory party conference at the International Convention Centre in Birmingham. Thank you to the slightly smaller group than the 5,000, that took the trouble to locate me amongst the crowds to go on the Canal Tour. For the third year running, The Kwame Nkrumah University of Science and Technology in Ghana chose Midlands Discovery Tours to take their post graduate transport engineers on trips related to their studies. During their 12 day trip to the UK, the engineers will study the peak flow scheme used on the M42, visit Birmingham University’s Railway Centre, The Transport Research Laboratory, visit Ironbridge home of the industrial revolution and journey alone the M6 the UK’s longest Motorway as well as a trip down the M6 Toll. On their first full day in the Midlands, they travelled to Kidderminster to catch a steam train along the Severn Valley Railway to Bridgenorth. During the 1 hour trip they were shown photos of the damage done to the railway during the floods of June 2007 when 47 sections of track were washed out, and the work done during the £3.5 million project to reopen the line in time for the Easter holidays in early 2008. We can’t thank the staff and volunteers enough for taking the time to talk to us about the behind the scenes work. 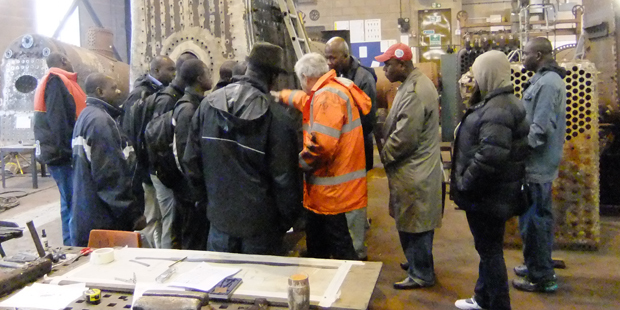 The photo shows volunteer John Reynolds talking the students through the work of the railway’s steam boiler repair shop. On Saturday 15th September, Birmingham Lord Mayor, John Lines attended the service held at the Hall of Memory, Centenary Square, Birmingham to remember the RAF pilots from WWII. 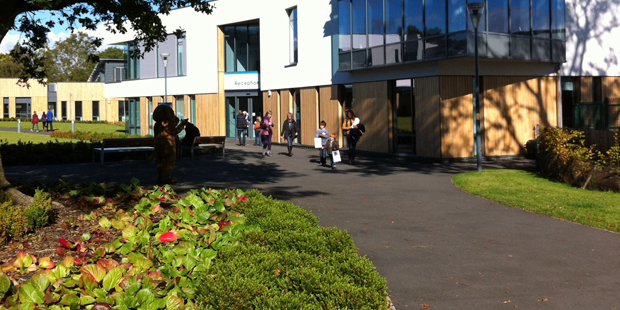 To mark Heritage Weekend, Midlands Discovery Tours are delighted to offer free taster tours on Saturday 8th and Sunday 9th September 2012. 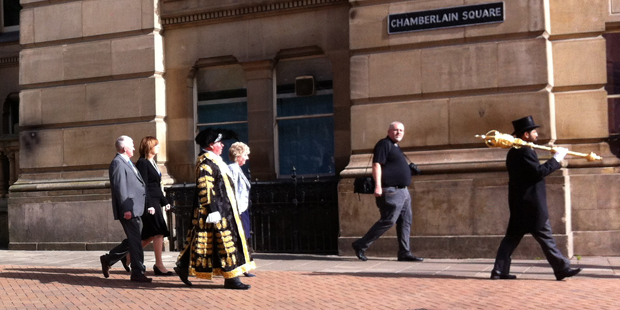 They will start at 11.30 between the Council House and the Town Hall. These tours are designed to show off the best of our city, and incorporate some of the locations and stories from the different weekend walking tours we offer throughout the year. Lifelong resident or first-time visitor – our tours are the perfect way to discover England’s second city. 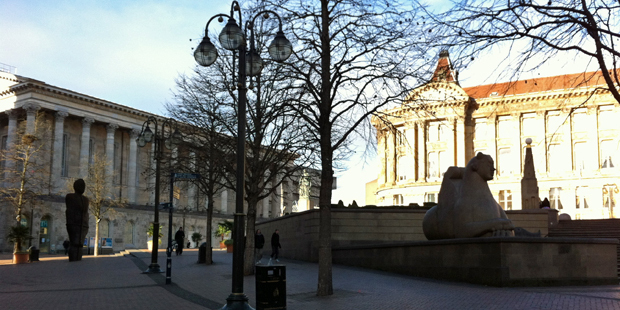 We hope that these free taster tours give you an introduction to Birmingham, and to Midlands Discovery Tours’ programme of guided walks. Tours need to be pre-booked. To reserve your place, please email us, or call Ian on 0121 325 0575 or 07970 655261.